When you book your birthday party, there are so many things to think about: food, entertainment (Fab Science obviously! ), party bags, guest lists, decorations…the list goes on! And where are you going to have all this fun? Here are some venue options if you don’t fancy having it at home. We aim to keep this list updated but please let us know if you spot any problems. We like this hall as it has a verandah outside…perfect for exploding lemonade even if it’s raining! You can hire both rooms so have a separate space for the food and there’s plenty of parking. £6 an hour for small hall, £10 an hour for larger one. Contact 01279 814052 to book. This hall has a huge field attached, great for summer picnics…and even has enough space for rocket launching! Decent kitchen, separate room for food and oodles of parking. £10 per hour. Contact 01279 651757 to book. Choice of halls and you can book the garden too which is nice in the summer. Plenty of parking in Tesco carpark and handy having Tesco next door for anything that gets forgotten! Kitchen and tables are shared between both halls. Club room £9.38 an hour, main hall £13.13, garden £7. Book via Town Council: 01279 715004 or click here for online booking. Two halls, each with its own kitchen. Nice central location (it’s in Castle Gardens) but parking can be tricky. You can usually park one car next to the venue but all guests would have to park in town and walk over. Main hall £10.50 and hour, Elsie Barrett Clubroom (smaller but still good size) £9 an hour, both together £16. Book via the Town Council: 01279 715004 or click here for online booking. You have the park right outside which is great for keeping kids entertained while you are setting up! Plenty of parking. £11 an hour. Click here for website. Small hall is suitable for parties up to around 15 children and has its own kitchen. It also has a door opening straight out onto a small garden area. The main hall is huge! Great for big parties and has a large kitchen. Plenty of parking. Main hall £20 an hour, small hall £10 an hour. Large hall with a park and huge field next door (enough space to launch rockets! ), plenty of parking and a good sized kitchen. £18 an hour (£15 for village residents). Click here for website and online calendar or email lhvhbooking@gmail.com. Big hall with a good kitchen. Parking can be a bit tricky, especially if there’s a church service or wedding on! £9-£10 per hour, contact st.johns.church@btinternet.com or click here for website. A bit pricey at £26 an hour but a bright, modern, large hall. Full catering kitchen, plenty of parking and outside space. Click here for website. Two halls which can be made into one large space by folding back the dividing wall. Parking is a bit limited. 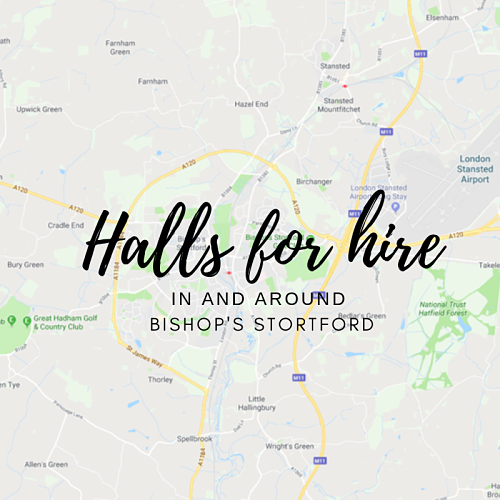 Main hall £10.20 per hour, small hall £8.20 or both for £16.40. Book via the Town Council: 01279 715004 or click here for online booking. Beautiful building with children’s play area outside, modern kitchen and parking. £17 per hour (£12 for Albury residents). Click here for website. This is a school hall but self-contained with it’s own kitchen and toilet. It’s a bright, modern hall and having the playground is great for keeping kids entertained while you’re setting up. There’s enough room for rocket launching in the playground too! Call 01279 771339 or email admin@farnham.essex.sch.uk for bookings. Booking your Fab Science party: get in touch with us first to check dates. We’re always happy to hold a date for a few days while you check out venues.